Tickets for the 2012 Olympic Games went on sale in March 2011 and the London Organising Committee of the Olympic Games and Paralympic Games (LOCOG) decided that there would be a range of prices and initiatives. This ensured that buying tickets for the biggest sporting event on the planet was within the financial reach of as many people as possible. However, in order to offer millions of tickets at the lower price points, a smaller number of very expensive tickets were also available. Therefore spectators who could afford to pay the higher prices subsidised the masses. Ticket prices were quoted per session, but the length of those sessions varied from sport to sport. All tickets for events in and around London also included a travelcard which gave free use of public transport on that day, and there were 649 separate ticketed sessions across all sports during the 2012 Olympic Games. The 2012 Olympic Games committee also revealed details of a scheme called "London 2012 Ticketshare" which enabled many thousands of school children to receive tickets to the 2012 Olympic Games. A levy on the price of prestige hospitality packages allowed 100,000 tickets to be donated to schools in London and around the UK via the London 2012 Get Set education network and the Olympic and Paralympic-style schools sports competition. The scheme was backed by the Government and the Mayor of London. LOCOG also confirmed that a "pay your age" scheme would operate for over 200 Olympic Games sessions. This saw anyone who was 16 and under at the start of the Games "pay their age" (£16) and anyone over the age of 60 also only paid £16. These sessions were spread across all sports and all venues. So what did people say at the launch? "We have three clear principles for our ticketing strategy - tickets need to be affordable and accessible to as many people as possible, tickets are an important revenue stream for us to fund the Games and our ticketing plans have the clear aim of filling our venues to the rafters. When we won the right to stage the Games, we made a promise to inspire young people to choose sport and our ticket prices will get as many young people as possible to the Games. 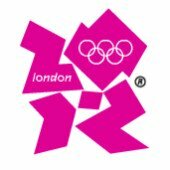 The 1.3 million tickets in the Pay Your Age scheme and the London 2012 Ticketshare scheme reflect this ambition, and the fact that we will offer 2.5 million tickets at £20 or under will also deliver this aim." "Spectators are a vital part of every Olympic Games, providing the atmosphere that inspires athletes to perform. I am confident we will have packed stadiums and venues with the range of tickets on offer meaning that people of all ages and budgets will have the chance to attend London 2012. London 2012 Ticketshare is also a fantastic initiative. Backed by our Olympic-style schools sport competition and the London 2012 'Get Set' programme, schoolchildren from across the country will get a chance to experience the magic of the Games first hand and for free." "One of the greatest legacies we can lever from the London Games is to see young people in the capital embrace the Olympic and Paralympic Values. We want these Games to motivate them towards sporting and academic achievement and there's no better way than by watching the world's best sports men and women competing at the highest level. Having invested so much, I also want Londoners to have a real sense that these are their Games too. So it is right that, through the schemes aimed at youngsters, we can acknowledge their support by rewarding thousands of London kids with the unique opportunity to be part of this amazing sporting spectacle." London 2012 had more tickets on sale for disabled people than any previous Olympic Games. There were seating options available for visually impaired and hearing impaired people, as well as those who couldn't manage steps, and wheelchair users. The cost of a ticket for a wheelchair space also included the cost of one companion seat adjacent to it.